Based on my Xyzal prescription, which usually announces my itchy nose of spring. I am hoping to go out this weekend and get myself some Easter flowers, so I can add them to my bulbs in my pots outside. I came up with this idea after watching Kasia kick up the bulbs I planted two years ago. 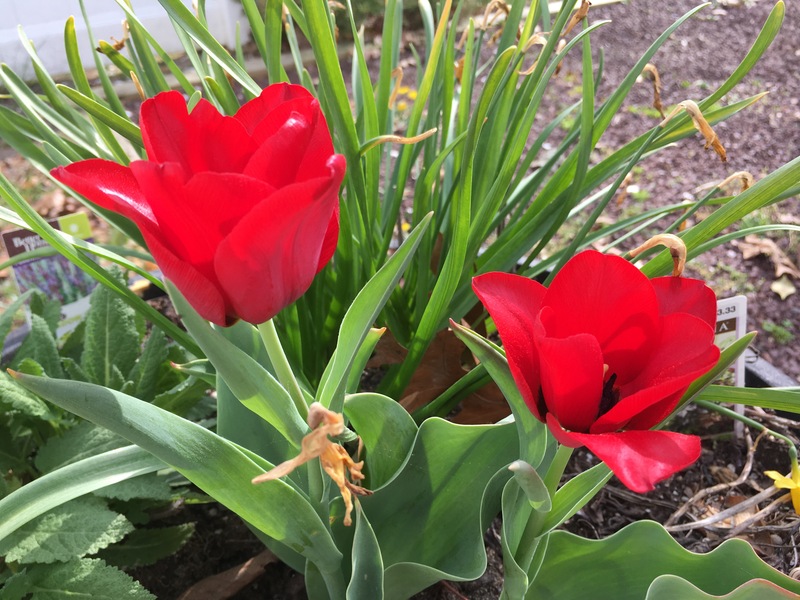 Above is a picture of my tulips. I bought them because next to Easter lilies, it was my Dad’d favorite Easter flower. 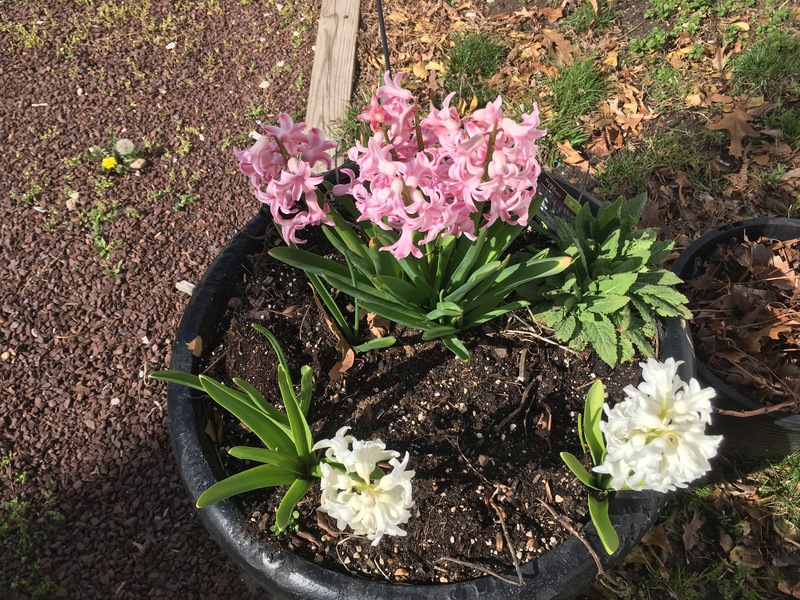 I usually get white or pink hyacinth, in remembrance of my Mom. It’ll be a quiet Easter for me, for I’ll be here with Zush and Kasia, and we’ll all be together . That is all that matters!